The latest one here, the Pulsar AS 200 isn’t exactly that new as it is essentially a Pulsar 200 NS underneath the touring bike like front fairing. 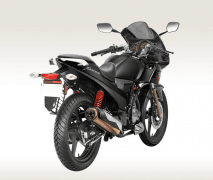 Speaking of the front fairing, it has been neatly designed and even though it looks similar to the one on the Discover 150F the projector headlamps and LED pilot lamps give the bike a very distinct identity. A large wind deflector that sits bolted on atop the headlamp makes the Pulsar AS 200’s mile muncher intentions very clear. The rest of the motorcycle is identical to its naked streetbike sibling, apart from minor differences such as the plastic number plate holder. 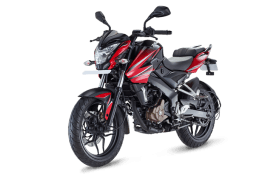 Adventure Sport (AS) is basically a series of touring bikes by Bajaj and the AS 200 gets an upright riding position owning to this fact. 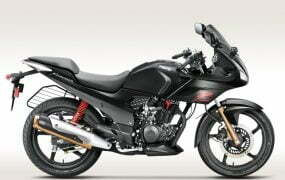 The Pulsar 200 NS is the meaner, naked streetbike version of the Pulsar AS 200. The 200NS gets no fuss styling. 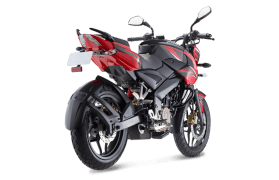 The sharp headlamp with the two pilot lamps at the bottom give the front a very mincing look.The muscular fuel tank flows nicely into the split seats which add to the sporty look of the bike. 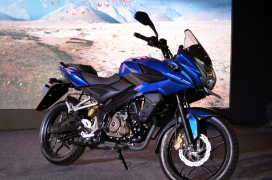 The tail section gets split grab rails and integrated LED tail lamps similar to the ones on the Pulsar AS 200. Being a naked streetbike, the engine and the chain have been left exposed and finished almost completely in black. The exhaust is very hard to spot and has been neatly tucked away at the bottom and the overall stance of the bike is mean and aggressive, exactly how a naked streetbike should be. The Hero Karizma R is the least impressive of the lot when it comes to design. The front fairing with the dual stacked headlamps give the bike a very narrow look and doesn’t look aggressive enough. The LED pilot lamps that run along the indicators are, however, a neat touch add some character to the bike. To add a touch of sportiness to the bike, the Karizma R gets split seats, split grab rails and LED tail lamp mounted on the number plate holder. The exhaust finished in a combination of gold, silver black looks very smart. 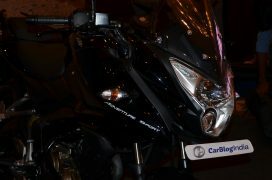 The rear overhang extends a little too much taking away from the Karizma’s sporty character when viewed from the side. The huge ‘R’ logo on the side looks a bit cheap and Hero could have done better in the design department to add a bit more muscle to the bike. 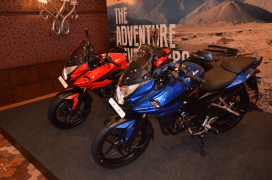 The Pulsar AS 200 and the 200 NS are identical too each other and have the edge over the Karizma R in terms of performance even though the latter has a bigger capacity motor. 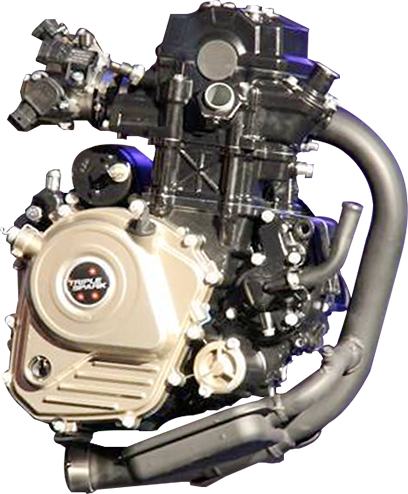 But the Karizma R produces its peak power and torque at a lower rpm. Also, the Pulsars are technologically ahead as they get mono shock at the rear, dual disc brakes, liquid cooling and 6-speed transmissions. 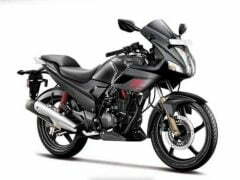 The Pulsar AS 200 and 200 NS get identical pricing which is around INR 10,000 more than the Hero Karizma R. Although, the Karizma R may seem better value for money it does miss out on certain features that have become common among sports bikes these days. For the extra money you get slightly more power, dual disc brakes, mono shock at the rear and slightly better performance. It should be noted that the price of the Pulsar AS 200 is introductory and is likely to go up after a few months on sale. The Hero Karizma R’s major selling point is the pricing which, at INR 10,000 less than the Pulsars, is pretty good value for money.But the Pulsar twins offer more kit for the money and are, arguably, better styled than the Karizma. Performance is also better thanks to the KTM DNA. Between the two Pulsars it really is a matter of personal taste and design preferences. 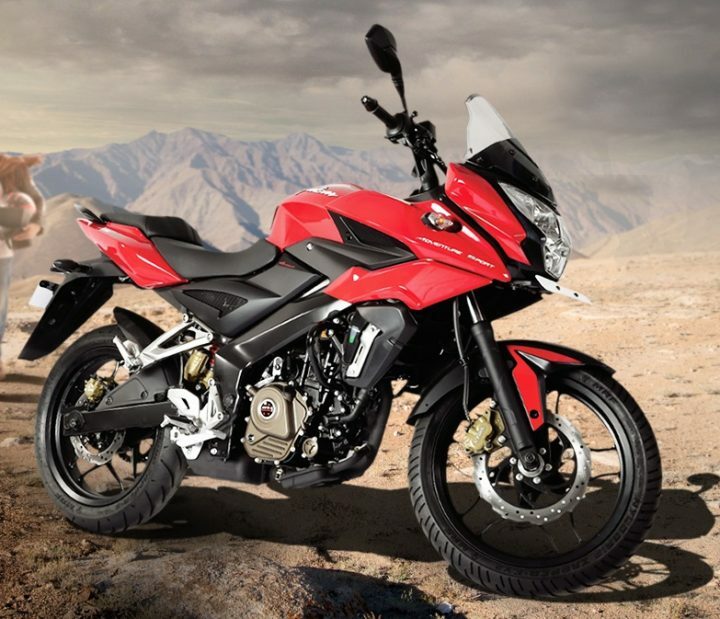 Although, the Pulsar AS 200 is intended as cross country tourer most buyers would rarely be using it for that and with the prices set to go up after a few months on sale, the Pulsar 200 NS might just make more sense. 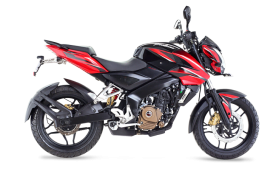 So, what do you have to say about our Bajaj Pulsar AS 200 vs Bajaj Pulsar 200 NS vs Hero Karizma R spec-sheet comparo? Do let us know what you think by penning down your views in the comments section below.